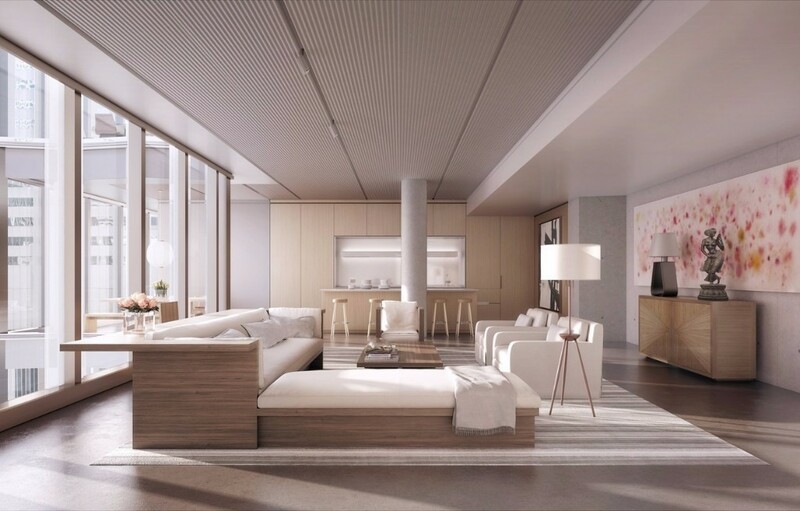 One Hundred East Fifty Third Street by Foster + Partners is New York’s newest modernist architectural landmark located in the heart of Midtown’s Cultural District. 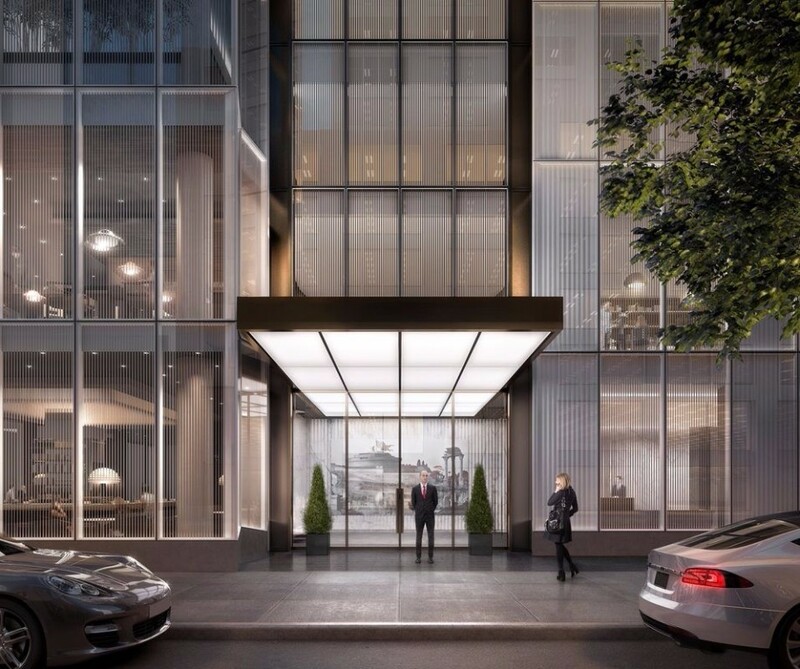 Adjacent to Mies van der Rohe’s famed Park Avenue Seagram Building, One Hundred East Fifty Third Street’s slender form and minimalist exterior is intended to provide a counterpoint to the Seagram’s bronze edifice. 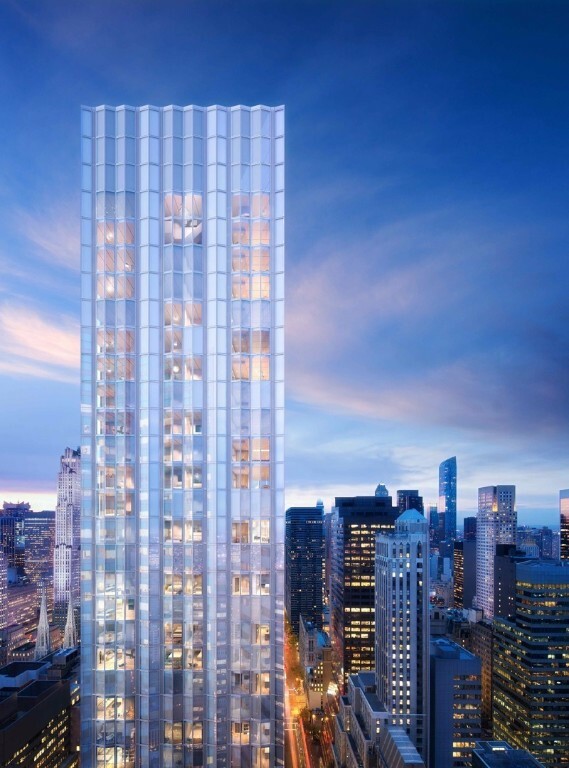 Acclaimed Michelin-starred French Chef Joel Robuchon will occupy the first two levels of One Hundred East Fifty Third Street, with a gourmet marketplace on the ground level, and a fine dining restaurant on the second. Joseph Dirand, the award winning architect and interior designer, will head the design. 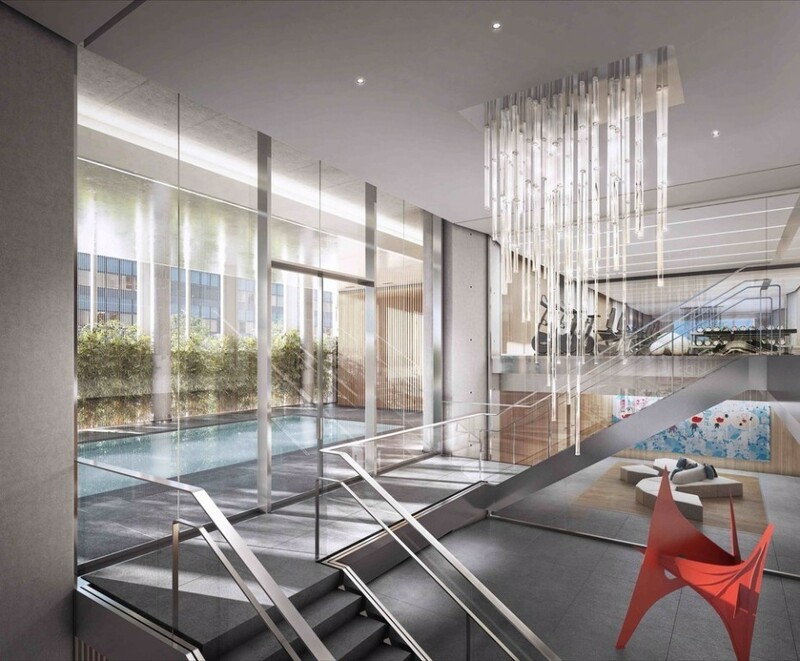 Residents of One Hundred East Fifty Third Street will have exclusive access to in-residence dining in addition to reservation and seating privileges at the restaurant. The 63-story tower sets back from the 9-story podium, and the two building components possess identifiably different residences – tower homes and loft apartments – that are generously proportioned and seamlessly integrated with infrastructure for modern cosmopolitan living. 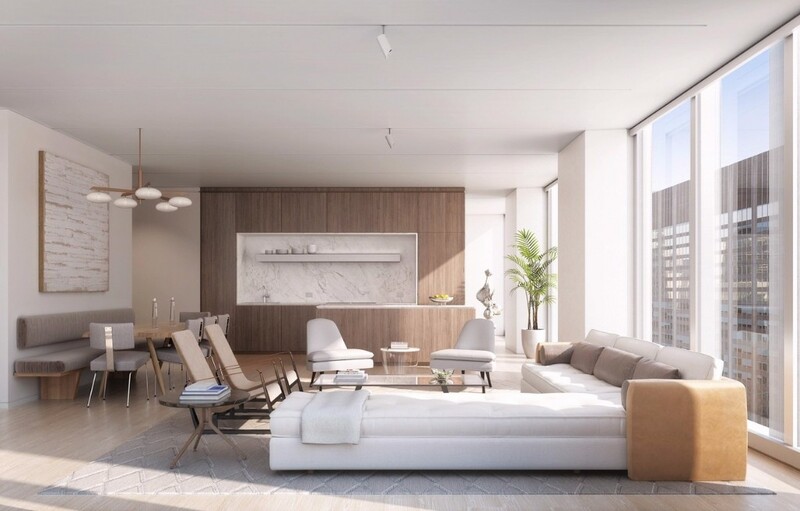 This full-service building is a rare opportunity to experience impeccable gallery-style living in 94 well-appointed residences ranging from alcove lofts to four bedrooms. Interiors elegantly conceal service functions, balance soaring views and domestic intimacy, and allocate generous space for art. Kitchens throughout are outfitted in Foster + Partners designed millwork and integrated Gaggenau appliances. Aged oak cabinetry is specifically paired to Carrara marble or stainless steel backsplashes, whose shelving is embedded with ventilation and lighting.